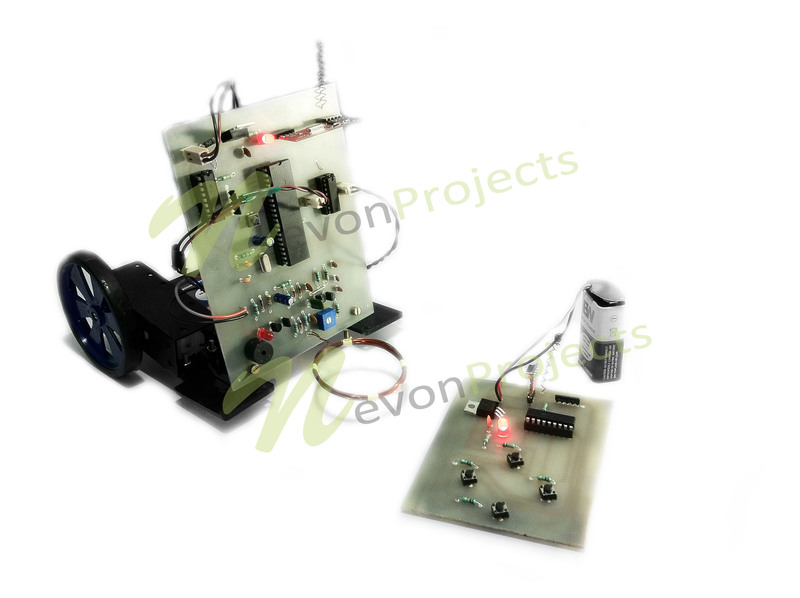 Our project proposes a Metal detection robotic vehicle operated using Rf remote control wirelessly. The project demonstrates real life robotic vehicles used to detect land mines or other metal based objects on its path. The vehicle is fitted with a metal detection system that senses metals and then alarms the user about it through a buzzing sound of land mine possibility. 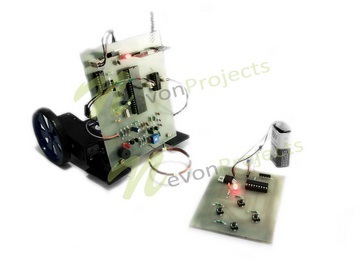 The system works in conjunction with an 8051 series microcontroller to achieve this operation. The push buttons are used to send commands to move the vehicle forward, backward, left and right. Two motors at receiving end operate the vehicle as per the commands received. As soon as a command is sent it gets transmitted through rf transmitter. 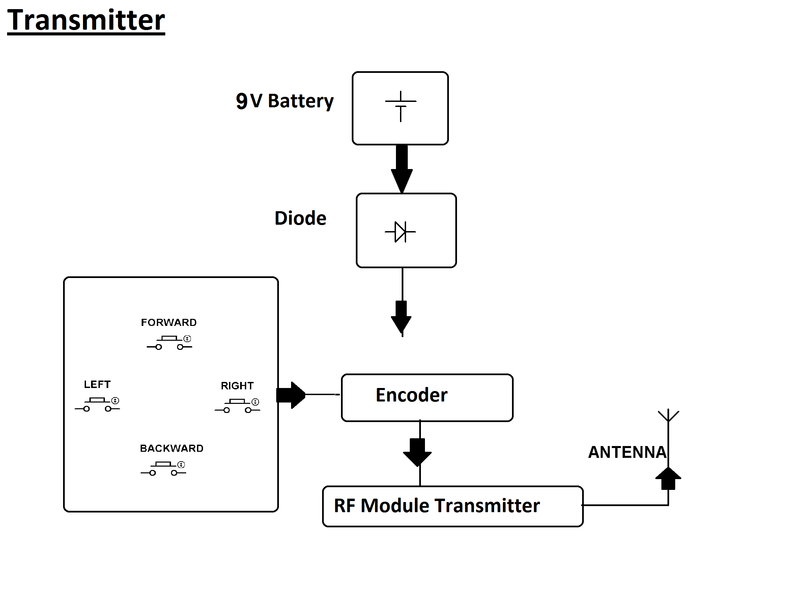 At receiving end an rf receiver reads the command and passes it to an 8051 microcontroller for processing. 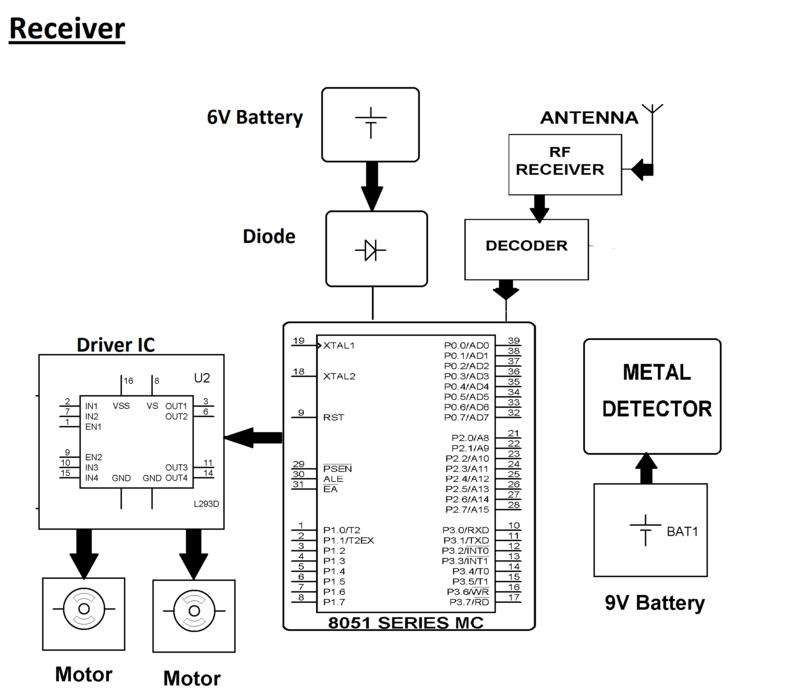 The microcontroller then operates the motors to move the vehicle through a motor driver IC. 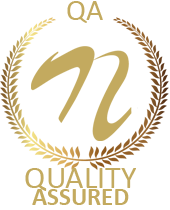 The metal detection system attached to the system detects any metal underneath it. On detection it automatically sends on a small buzzing alarm to notify user about it. Thus the metal detection system coupled with a robotic vehicle allows for operating the robotic vehicle on a 200 meter radius remotely through RF technology.